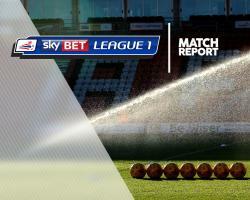 League One leaders Sheffield United powered to a sixth win in a row as they saw off Southend United 4-2 at Roots Hall. The Shrimpers went into the game unbeaten in their last 13 games but the table-topping Blades were confidently able to continue their charge for promotion. Chris Wilder's side took the lead after just three minutes when Ethan Ebanks-Landell headed home Mark Duffy's left-wing cross but the Shrimpers hit back to equalise in the 19th minute when Simon Cox converted from Marc-Antoine Fortune's pass. Southend then enjoyed their best spell of the game with Anthony Wordsworth having a 20-yard shot tipped over by Simon Moore before the visitors regained the lead in the 42nd minute as Jack O'Connell converted a Duffy free-kick. Former Southend loan striker Caolan Lavery made it 3-1 in the 72nd minute with a powerful left-footed shot and - just four minutes later - he also set up Kieron Freeman to score. But the Shrimpers continued to fight and netted an 88th-minute consolation with substitute Jermaine McGlashan on target.